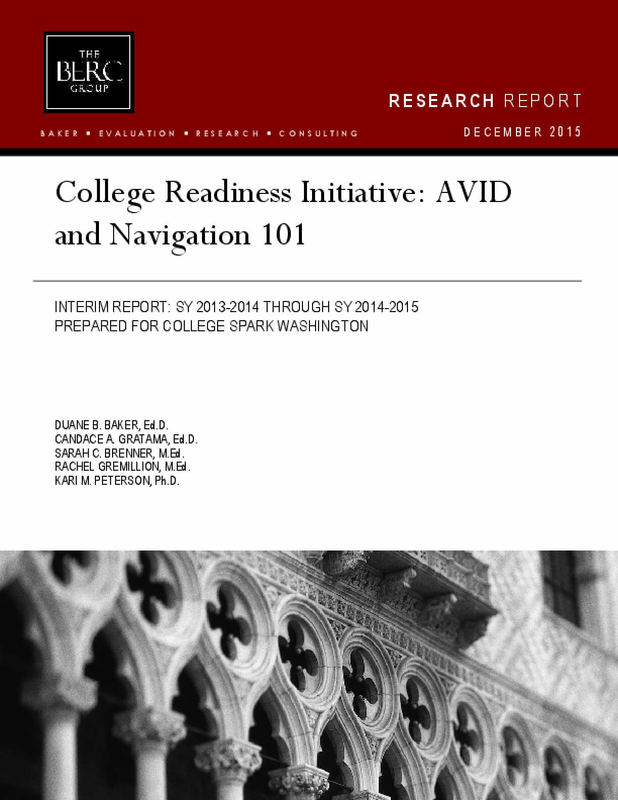 The purpose of this report is to provide summative feedback to personnel at the Office of Superintendent of Public Instruction (OSPI) and at the College Spark Washington regarding evidence of implementation and impact of the Advancement via Individual Determination (AVID) and Navigation 101 programs in schools funded by the College Readiness Initiative (CRI) in Washington State. The report, while addressing the effects of both programs, is also designed to provide formative feedback to assist in ongoing program development. COPYRIGHT 2015 BY THE BERC GROUP INC.